Elena has more than nine years of experience with intranets. She started as an internal intranet developer and then took on the challenges of being an intranet project manager and leader. She is currently the only intranet consultant in Russia. 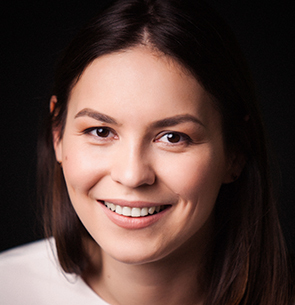 Elena was responsible for developing visual concepts for the first digital workplace in Russia, featuring ‘cool tools’ and a mobile app for the Y generation. Her projects have also included delivering intranets for numerous sectors including banks, manufacturing, telecoms and IT. More than 120,000 people in Russia are using these intranets. Elena is passionate about intranets. “I’m in love with intranets and really believe that great intranets can change employees’ life in a positive way”. She carries out a unique intranet benchmarking service in Russia and has been highly active in fostering the Russian intranet community – organizing conferences, inviting foreign experts, blogging and translating best practices from around the world. Elena has been a member of the judging panel for the “Best Intranet Russia” contest for six years.